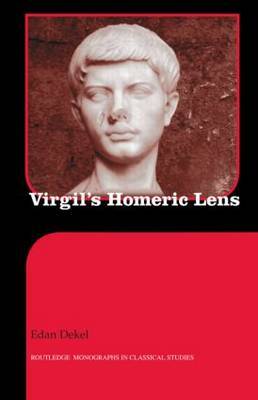 Virgil's Homeric Lens reevaluates the traditional view of the Aeneid's relationship to Homer's Iliad and Odyssey. Almost since the death of Virgil, there has been an assumption that the Aeneid breaks into two discrete halves: Virgil's Odyssey, and Virgil's Iliad. Although modified in various ways over the centuries, this neat dichotomy has generally diminished the complexity and resonance of the connection between the two canonical epic poets. This work offers an alternate approach in which Virgil uses the transformative power of the Odyssey as a precise filter through which to read the Iliadic experience. By examining the ways in which Virgil bases his own epic project on the dynamic interaction between the two Homeric poems themselves, Edan Dekel proposes a system in which the Aeneid uses the Odyssey both as a conceptual model for writing an intertextual epic and as a powerful refracting lens for the specific interpretation of the Iliad and its consequences. The traditional view of the Homeric poems as static sources for the construction of distinct "Odyssean" and "Iliadic" halves of the Aeneid is supplanted by an analysis which emphasizes the active and persistent influence of the Odyssey as a guide to processing the major thematic concerns of the Iliad and exploring the multiple aftermaths of the Trojan war.